The project aims at analysing specific language and communication needs in selected occupational fields with major relevance for migrant population in the partner’s countries and will provide a compendium including teaching material in order to support vocation related language learning processes. Migrants+ aims at training trainers, mediators and support staff on how to assess basic skills and competences of adult emigrants and their learning needs by using a software tool and also at developing lifelong learning opportunities for adult migrants. The results of the project will be a software tool that can detect learning needs in basic skills such as numeracy, ict, use of internet, communication skills, human relations, occupational health and will propose individualised training curricula. New tests and curricula will also be developed in the subject of literacy, legislation (civil rights, employment laws and social security) and knowledge of the hosting country culture. INTERPRES project aims to investigate the context where the linguistic-cultural intermediaries work (a context involving at this point health, school, prisons, courts, etc.) in three partner countries, in order to collect and compare the good practices emerged in the latest years and to define both peculiarities and limits of these new professional figures. Based on the findings, a common model layout will be created aiming at a permanent training, able to have also a vocational guidance function towards further professional ways. The project revolves around the persons who travel or want to live abroad: through a dynamic and innovative methodology, the person can understand the basics of civic education and the cultural peculiarities of every European country through the pc or television. This is intended for those who immigrate or travel abroad for a short period of time, they need information about: language, culture, how to find a job, how to improve their professional development, information concerning relative documentation, etch. Before leaving for the new country it is important to have all the information before you leave in order to make for a smooth integration. The project Improvement of Instruction and Providing Services Supporting Equal Access to Education at Silesian University in Opava aims at system and conceptual improvement of university instruction and providing services targeted at the students with specific educational needs within all the fields of the university study. The project involves creation of new didactic aids, facilitation of access to digital study materials and supporting of advising centre and its further development. This project is funded with support from European Social Fund and Ministry of Education. The project developed within Erasmus-Intensive Programme involves partners from universities located in six European countries – Austria, Estonia, Finland, France, Germany, and the Czech Republic. Students and teachers met for two weeks of intensive work in multicultural teams at Saint Etienne University in France using especially the methods of case studies and drama acting, developing activities related to team building, self-assessment, and writing reflective diaries. 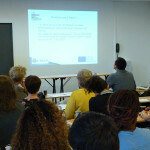 The “MIGRA” Project, co-financed by the Lifelong Learning Programme of the European Union, aims to develop a training pack addressed to companies and immigrants, to promote their labour and social integration in the EU hosting countries and to boost their access to training and labour market, improving their knowledge and skills. The project will promote dialogue, mutual comprehension and respect, thanks to a better awareness of migrants’ professional and social habits, increasing the consciousness of the importance of cultural and linguistic diversity. The “FutEur”Project, co-financed by the Lifelong Learning Programme of the European Union, has the general objective of supporting migrant workers’ integration through the use of new technologies, promoting the social inclusion, equality and cultural diversity. The project aims to identity and analyze the best practices for the development of digital competence for migrants/low skilled workers and early school leavers. It will identify resources, methodologies and philosophies which informed previous lifelong learning programmes, and transfer the results of those projects to enable them to be mainstreamed within member states. The “BIS” project, co-financed by the Lifelong Learning Programme of the European Union, aims to face the problem of migrants’ social marginality, directly working with those people who use the educational, training, social, orientation and employment services in the partners’ countries. During the project, a permanent and innovative training process will be developed, through the systematization of experiences, the development of overall activities to stress the differences and common aspects, as well as the communication and transmission, with the final objective of developing social workers‘ multidimensional competences. The website delivers a practical guide “Work in another European country for Building or Construction and Cleaning Sectors” providing simple and easy-to-understand information. It is available in seven European languages. Various vocabulary booklets directly related to targeted jobs and sectors requirements and dedicated to the construction and cleaning sector are also offered for free download. FLAM is a migrant integration project targeted at teachers, trainers and other educational staff who in everyday working life have personal contact with migrants. The project developed innovative methods for workshops in order for the participants to “feel like a migrant” and thereby enhance their empathy in their daily contact with migrants. 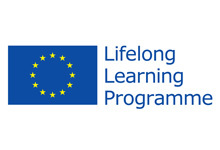 Out of more than 700 projects funded by the European Commission in Germany three projects were awarded with the PLL Award 2011 (PLL Lifelong Learning) in three categories each. A second place in the category “Acquirement of competences for educational staff” was given to the FLAM (Feel like a migrant) project. 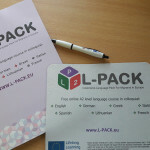 The Project aims to identify strategies to help adult language learners and also those who deal with the integration of adults into society to understand the language in context and how the language of the media can help learners develop an understanding of cultural awareness which will lead to better integration. 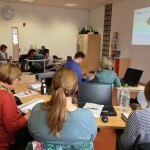 The Project intends to develop a virtual learning platform where resources, tools, exercises, unites of work which use a variety of media tools can be used by educators and learners.